When the folks at Capriotti’s Sandwich Shop discovered the creative twist on a classic sandwich cooked up by Boston area franchisee Sean Olson, the brand was quick to share the creation systemwide. The recently debuted Limited Time Only Chicken Chipotle Crunch sub—with chipotle ranch, lettuce, tomatoes, and crispy cheddar onions—was a huge hit, says David Bloom, Capriotti's chief development officer. At Las Vegas-based Capriotti’s Sandwich Shop, innovation is a franchise affair. Capriotti’s ability to listen, innovate, and execute, while staying true to the legacy of the beloved fast casual chain is a winning recipe for the franchise on the road to aggressive growth. With more than 100 restaurants across the country, the award-winning, handcrafted sandwich brand will open15 new restaurants by year end, with plans for 500 locations by 2025 through franchising. Along with strategic growth, Capriotti’s is leveraging the resources and expertise of an A-list board of directors, senior management team, and strong franchise base to innovatively implement strategies for all phases of business. Strides towards brand innovation include implementing a store design refresh, an enhanced dining environment, and the use of new technology to continually improve both the Capriotti’s rewards app and online ordering methods to fuel sales at the store level. The brand is also testing a centralized catering call center, with pick up windows and cubbies for people to order and pay ahead by phone or on the loyalty app, which now includes integrated payments, delivery systems, and reward tracking to connect with the loyal CAPAddict community, notes Bloom. On the franchise operations and training side, the company looks to innovatively boost sales and decrease operation costs by helping franchisees master the art of operating a Capriotti’s Sandwich Shop. The CAPMastery program, built on the pillars of Operational Excellence, Customer Service Excellence, Franchise Partner Engagement, Cost Control, Revenue Generation, and Maximizing Profitability, uses franchise business coaches, new systems, and real-time operational metrics to help franchisees identify opportunities for success based on their specific goals and objectives. Bloom says with the use of applications such as artificial intelligence, autonomous vehicles, back of the house automation on the horizon for the industry, there has never been a more exciting or challenging time to operate a retail or restaurant brand. 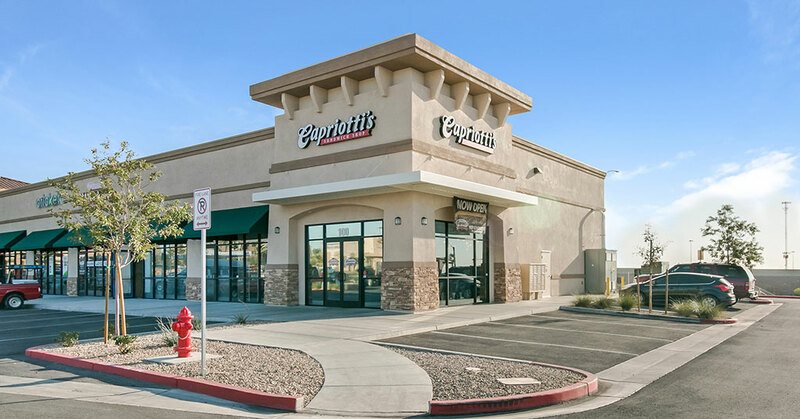 Capriotti’s, he says, will be ready with the expertise and business model to thoughtfully adapt for a strong financial future that will always be mindful of the brand’s successful past.